This week, Rwandan President Paul Kagame inaugurated a 26-megawatt power plant from ContourGlobal that extracts methane from Lake Kivu. It is the first gas water extraction power plant in the world, and it is providing electricity to the country of Rwanda. 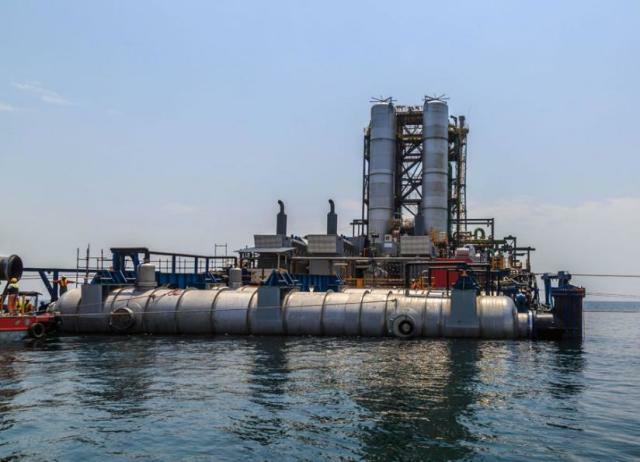 The power plant is connected to an offshore barge installed on Lake Kivu, a body of water between Rwanda and the Democratic Republic of Congo. It is deemed one of the three “killer” lakes in the world for its high concentrations of CO2 and methane. The lake has approximately 2,700 square kilometers of surface area, and it is estimated that 60 billion cubic meters of methane and 300 billion cubic meters of CO2 are dissolved in its waters. The enormously high concentrations of these dissolved gases are thought to be a result of two phenomena. The first is that the lake is located in the Great Rift Valley, where tectonic forces are slowly pulling apart East Africa. Scientists believe that this heightened level of volcanic activity is causing the slow release of CO2 at the bottom of the lake. The second cause is the bacteria in Lake Kivu, which convert the dissolved CO2 into methane. There are also other types of bacteria present in the lake that produce methane gas by breaking down organic matter. So why don’t the CO2 and methane just escape into the atmosphere? Lake Kivu has dense layers of mineral-rich water below the fresh water at the surface. This permanent stratification prevents vertical mixing in the lake and causes the gases to become trapped near the bottom. Lake Kivu may seem harmless, but it is at a risk of limnic eruption. If the lake was to undergo a disturbance such as falling rock or a landslide, it could initiate a chain reaction that would cause the gases to be released in an enormous deadly plume. This has happened before to the other two lakes in the world that have similar conditions. In 1986, Lake Nyos in Cameroon released a plume of CO2 that was 0.3 to 1 cubic kilometers in volume. Being denser than air, the gaseous plume travelled quickly and remained near the ground. More than 1,700 people living near Lake Nyos were killed from asphyxiation. Lake Monoun, also in Cameroon, the third killer lake, had a similar incident two years earlier, when 37 people were killed from a limnic eruption. Lake Kivu differs from the other two lakes in that it contains a high level of methane along with CO2, so if it were to undergo a limnic eruption, it could be an explosive event if exposed to an ignition source. 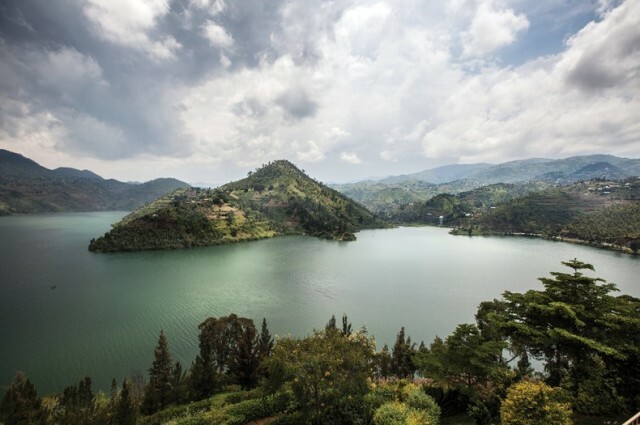 Can Methane Gas Really Be Safely Harnessed from Lake Kivu? 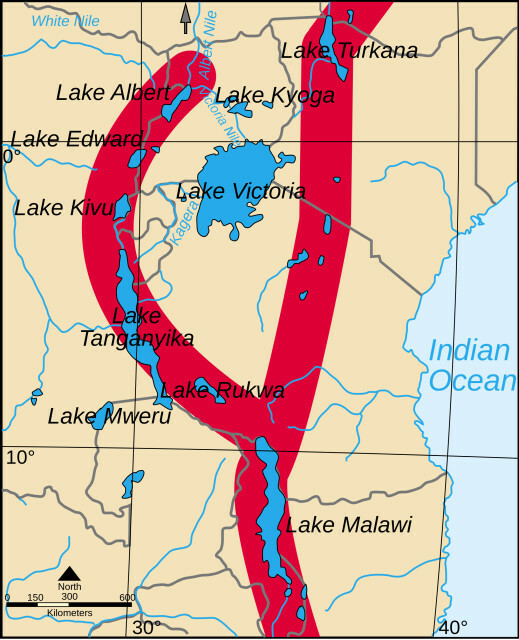 Lake Kivu has had no known incidents of limnic eruptions, but fossil evidence shows that these deadly gaseous releases have occurred several times in the past 5,000 years. 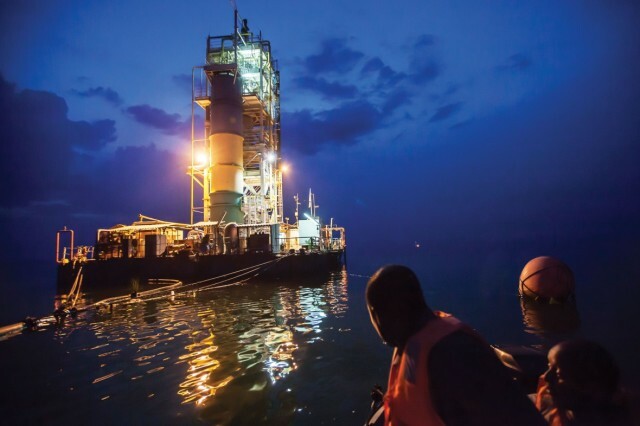 The scary facts are that Lake Kivu is 3,000 times larger than Lake Nyos and holds more than 350 times as much gas than what was released in the tragedy that killed 1,700 people. The surrounding area is also densely populated, with 2 million people living on its shores. If Lake Kivu were to undergo a limnic eruption, the consequences would be catastrophic. 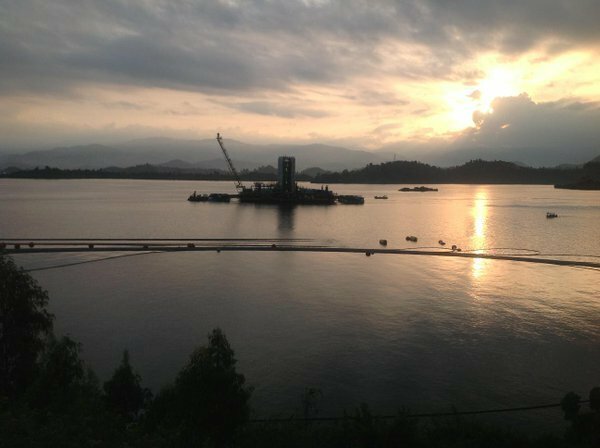 ContourGlobal has built an offshore barge that is extracting methane from the depths of Lake Kivu and using it to generate electricity. The U.S. company claims it will ultimately lower the risk of limnic eruption; however, there is still a lot of uncertainties about what exactly impacts the risk of an explosion. Recent measurements also show that the concentration of methane gas is increasing, but the cause of this is still unclear. Extracting methane gas from the lake’s waters has been done before but not on this scale. KivuWatt is a steel and concrete barge anchored offshore that weighs approximately 2,700 tonnes. It’s safe to say it seems a little out of place sitting in the middle of the Rwandan lake with its luscious green shores. Four plastic pipes draw up water from 350 meters below the surface. While it is rising into the facility, the gas separates from the water into bubbles, allowing it to be siphoned out. At this stage, the operators have a gas mixture of methane and CO2. They then proceed to take “wash water” from a depth of 40 meters and mix it with the gas to remove as much of the CO2 as possible. This water is returned to a depth of 60 meters, shallow enough for some of the carbon dioxide to eventually diffuse into the atmosphere. The end product, a gas composed of roughly 85 percent methane, is then pressurized and sent to a turbine electric power plant on shore. KivuWatt has been a long-awaited project, taking seven years to complete. Today, nearly 80 percent of Rwanda’s 12 million people lack a connection to the grid. Making electricity more accessible will no doubt directly improve quality of life and spur economic growth. While KivuWatt is certainly an attractive investment, the risks it poses simply cannot be overlooked. For instance, ContourGlobal claims that degassing the lake will lower the risk of limnic eruption, but there is a chance that it could instead unbalance the stratification that keeps the gas from escaping. To mitigate this risk, KivuWatt reinjects its degassed water back into Lake Kivu. 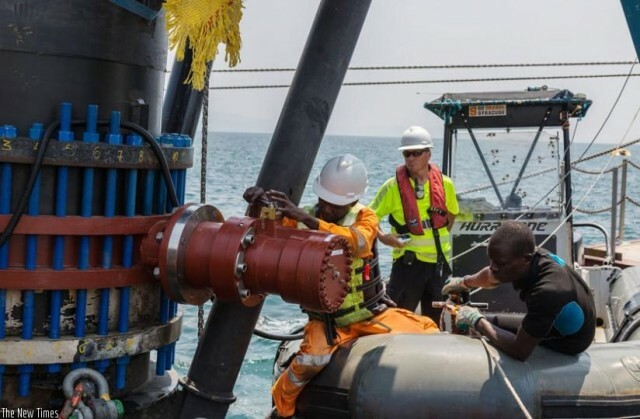 Recognizing that water reinjection is a means of maintaining the lake’s stability, the Management of Prescriptions for the Development of Lake Kivu Gas Resources was put forth in 2009. According to this document, all water extracted from the lake’s deep-water “resource zone” must be reinjected at least 260 meters below the surface so that it remains under enough pressure. Unfortunately, KivuWatt’s design was approved before the report was released, so it only reinjects its degassed water at a depth of 240 meters. Some view this difference as trivial, while others are concerned for the safety of millions of Rwandan citizens. ContourGlobal is a U.S.-based company that specializes in electrical power and district heating. To learn more about KivuWatt, visit their project website.